Hot Toys is proud to present the 1/6th scale Black Widow Limited Edition Collectible Figurine from the Iron Man 2 movie. 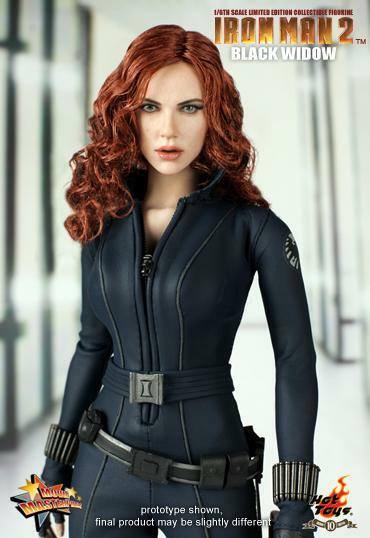 The movie-accurate Black Widow collectible is specially crafted based on the image of Scarlett Johansson in the movie, highlighting the newly sculpted head, hair implantation, highly detailed costume and accessories. © 2010 MVLFFLLC. TM & © 2010 Marvel Entertainment, LLC & subs. – All information is subject to change without prior notice. – The above release date is for reference only, please check with your local distributors and wholesalers for more accurate details. via HOT TOYS – Products :: Licence :: Iron Man 2 :: Iron Man 2 – 1/6th scale Black Widow Limited Edition Collectible Figurine. Darth Vader kicks things off, but expect C-3PO in June, Yoda in July and Han Solo in August. via Darth Vader GPS Helps You Find The Turn To The Dark Side. 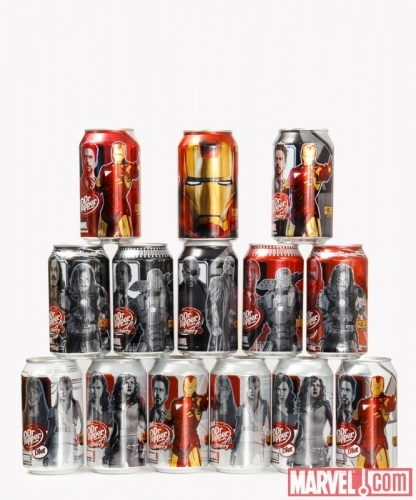 via HOT TOYS – Products :: Licence :: Iron Man 2 :: Iron Man 2: 1/6th scale Mark IV Limited Edition Collectible Figurine. Custom Made Batman Armory Diorama for 1:6 Scale Hot Toys Dark Knight figure. 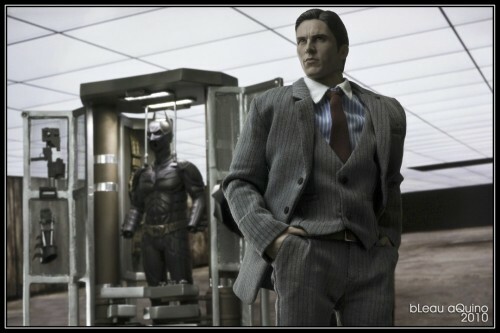 via – Dark Knight Armory Diorama. In the dry desert climate of Tatooine the Sand People have a real complexion problem. fill it up! They’ve tried coating their skin with Bantha blubber and experimented with Jawa dung. However in the end the Sand People were forced to wrap their faces with strips of coarse burlap and call it a day. That was until these R2-D2 USB Humidifiers came along. Now the Sand People can fill these mini droids with water and plug them into their laptops for a soothing mist. We&apos;ve found that the climate of some offices is almost as dry as Tatooine, so Earth based humans can enjoy as well. 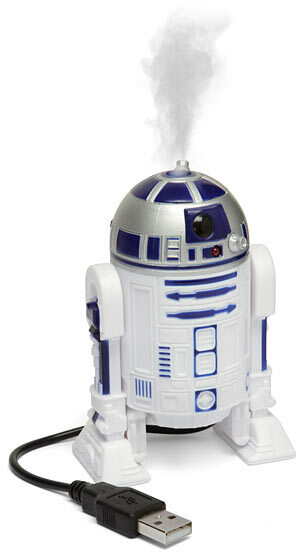 via ThinkGeek :: Japanese R2-D2 USB Humidifier. 100% Fragrance-free and ultra gentle on skin. Made with pure olive oil, shea butter and aloe vera. Each soap is hand poured and then detailed with pure, skin safe matte and metallic pigments. These are made one at a time with A LOT of love. For a limited time I am offering a version of this soap with an Aurebesh label. Be sure to note which version you are purchasing when adding to cart. Aprox. 4.2 inches x 2.25 inches and an inch thick. 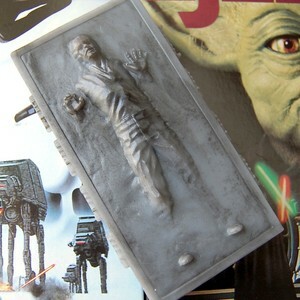 via Luxury Lane Soap — Soap in Carbonite – BACKORDER. Academy graduates, upon receiving their first assignments, are typically issued three things: Their uniform, their communicator, and their phaser. The bright-eyed young recruits then blast off into space, in search of adventure! If, however, your uniform is of the security / ops variety, you’re a member of the infamous “redshirts.” As such, you’re also given one extra item. The Official Starfleet Hip Flask. Why? Because your job is going to be hard. Whether you’re having to deal with a tyrannical captain who demands you give him “warp speed NOW, mister” or you’re expected to act as cannon fodder for the next away mission, there will be times when a quick belt is what you need to get through the day. Maybe you’ll be assigned to engineering. Sounds like a nice job, doesn’t it? Playing around with plasma manifolds and adjusting the polarity on a stuck phase inverter sounds like interesting work. Then, one day, the captain orders you to disconnect the hyper-intelligent battle-computer from the warp engines and VOOM! You’ve been vaporized into a reddish mist. Perhaps, instead, you’re assigned to security. Sounds idyllic – beaming down to some pastoral world, verdant and clean without even so much as an insect to bother. One step around a boulder and SHAZAM you’re reduced to a pile of ash and smoking boots. It’s enough to drive a man to drink, and Starfleet is a pragmatic organization. Rather than combat drunkenness at work, they encourage the redshirts to “take the edge off” their days. It’s the least they can do, considering your inevitable sacrifice. 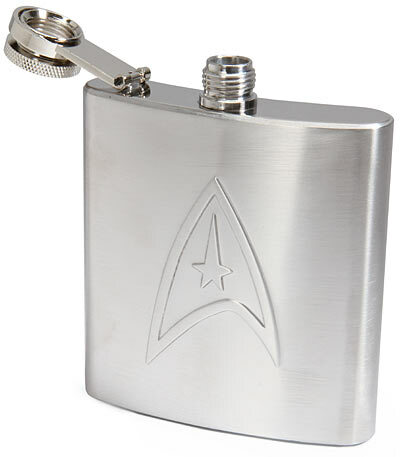 via ThinkGeek :: Starfleet Hip Flask. 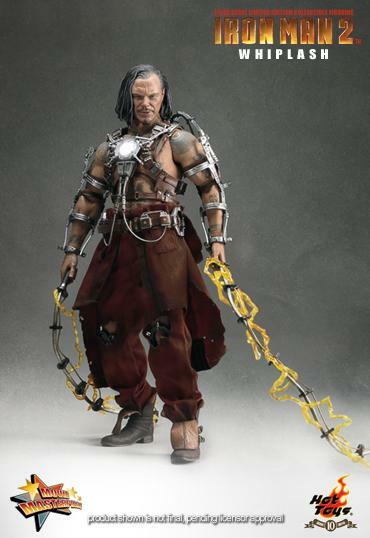 Hot Toys is proud to present the 1/6th scale Whiplash Limited Edition Collectible Figurine from the Iron Man 2 movie. The movie-accurate Whiplash collectible is highly detailed and specially crafted based on the image of Mickey Rourke as Whiplash in the movie, highlighting the newly sculpted head, muscular upper body, patterned tattoos, light-up functions, highly detailed accessories and weapons. 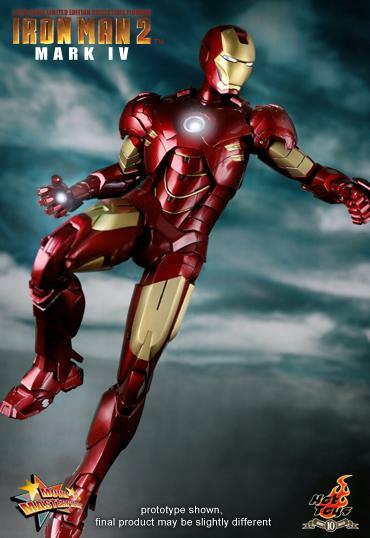 via HOT TOYS – Products :: Licence :: Iron Man 2 :: Iron Man 2: 1/6th scale Whiplash Limited Edition Collectible Figurine. It was the day before the Khitomer peace-talks, 2293. Captain James T. Kirk offered Klingon Chancellor Gorkon and his retinue Romulan Ale. Sure, it was illegal, but there are certain advantages to being Captain James T. Kirk. The conversation ranged from William Shakespeare to the finer points of Earth’s own history, and even touched on topics of semantics and table manners. Those initial talks were a disaster, which was less attributed to the inebriative effects of the bright blue Romulan beverage, but more to the shape of the corkscrew used. Little known fact – the corkscrew used was roughly the same shape as the ancient-Klingon pictogram for the words “turtlehead,” considered a grave slur in tlinghan Hol. There were words exchanged, a Chancellor murdered in cold blood, and photon torpedoes flew like Rigelian fire-hawks. It wasn’t pretty. If only they had a corkscrew like this one! This chromed-out bad boy is shaped like a Romulan Raptor Bird-of-Prey* firing a disruptor. Not only would this not offend the Klingons, they would have seen it as a nod to superior Klingon starship design (since the Klingon Bird-of-Prey was a precursor to the Romulan design. So, avoid future interstellar incidents by opening your own corked beverages of choice, be it French Bordeaux, English cask-conditioned ales, or even Romulan blue brews should you have any! * – It’s well established that the Romulans borrowed starship designs from the Klingons. Of course the Romulan Raptor is a direct rip-off of the Klingon Bird of Prey. They know good starship design when they see it. 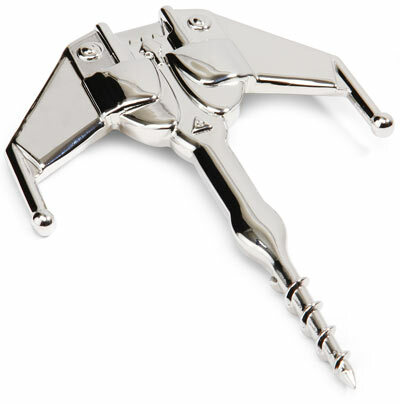 via ThinkGeek :: Romulan Corkscrew.